On Leave, Office Hours by Appointment. 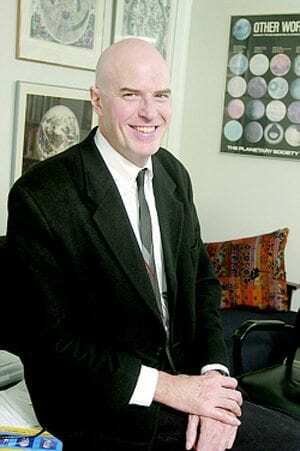 Daniel H. Deudney teaches political science, international relations and political theory at Johns Hopkins University. He holds a BA in political science and philosophy from Yale University, a MPA in science, technology, and public policy from George Washington University, and a PhD in political science from Princeton University. During the late 1970s he served as senior legislative assistant for energy and environment, and legislative director, to Senator John Durkin (D-NH). During the early 1980s he was a Senior Researcher at the Worldwatch Institute in Washington D.C. During 2010-11 he was senior research fellow at the TransAtlantic Academy at the German Marshall Fund in Washington D.C. His areas of research are general international relations theory, international political theory and republicanism, and contemporary global issues (nuclear, outer space, environment, and energy). 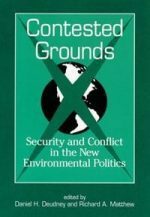 His publications include RENEWABLE ENERGY (Norton, 1983), co-author; and CONTESTED GROUNDS: Conflict and Security in the New Global Environmental Politics (SUNY, 1998), co-editor. He has also published extensively, often with John Ikenberry, on the end of the Cold War and on the Liberal International Order. His most recent book is BOUNDING POWER: Republican Security Theory from the Polis to the Global Village (Princeton University Press, 2007), which was co-winner of the Jervis-Schroeder Prize for the best book in international politics and history by the American Political Science Association, and was co-winner of the Book of the Decade award from the International Studies Association. His current book projects are DARK SKIES: Space Expansion and Planetary Geopolitics; PAX ATOMICA: Geopolitics, Arms Control and Limited Government; and HOME RULES: Planetary Geopolitics and Terrapolitan Republicanism. In over twenty years of teaching he has received four major teaching awards, most recently the Alumni Distinguished Teaching Award at Johns Hopkins University. “First In Freedom: War-Making, American Liberal Identity, and the Liberty Gradient,” in Gunter Hellman et al, eds, Theorizing Foreign Policy (Palgrave, 2015), pp.223-250. (with Sunil Vaswani). “Mixed Ontology, Planetary Geopolitics, and Republican Greenpeace,” Theory Talks, November 2013. (35 pgs). “Hegemony and Nuclear Weapons,” in G. John Ikenberry, ed., Hegemony and International Order (Cambridge University Press) pp.195-232. 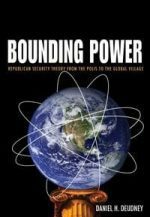 “Pushing and Pulling: The Western System, Nuclear Weapons, and the End of the Cold War,” (with G. John Ikenberry) International Politics, July/September 2011, pp.496-554. “Anarchy and Violence Independence,” in Ken Booth, ed., Realism and World Politics (Routledge, 2011), pp.17-34. “How Britain and France Could Reform the UN Security Council,” Survival, October-November vol.53, no.5, 2011, pp.107-128 (with Hanns Maull). “Global Shift: How the West Should Respond to the Rise of China,” (co-author with James Goldgeier, and Hans Maull, et al) Report from the TransAtlantic Academy of the German Marshall Fund, Washington D.C. (June 2011) 87 pgs. “Omniviolence, Arms Control, and Limited Government,” in Jeffrey Tulis and Stephen Macedo, eds., The Limits of Constitutionalism (Princeton University Press, 2010), pp.297-316.